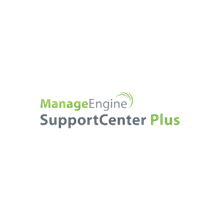 ManageEngine SupportCenter Plus, is a 100% web-based Customer Support and Service solution offering Ticketing, Contact Management, SLA Management, and Knowledge Base in one low-cost, easy-to-use package. Email, Phone, Portal, Social Media and the list keeps growing every day. Get one view of customer interaction irrespective of the communication mode they chose. Automates the process of creating, organizing, tracking requests into a seamless process. Lets each division of your organization define their product or service specific configuration and work as independent units. Manage your customer information including the products/services purchased, contracts they are entitled to, their organizational hierarchy and so on. Stop losing productivity on repetitive queries; Make first-call resolution a reality. Build your knowledge base easily, group solutions by topics to facilitate easier access. Deploy a customizable self-service portal and allow your customers to submit tickets, track them, search the knowledge base and run reports. Manage multiple service contracts and related support plans to service your customers on time and bill accordingly. Track the time spent for all customers at one place. Use filters to drill down the time entries. Get to know every information of your help desk through intuitive & real time Reports & Dashboards. 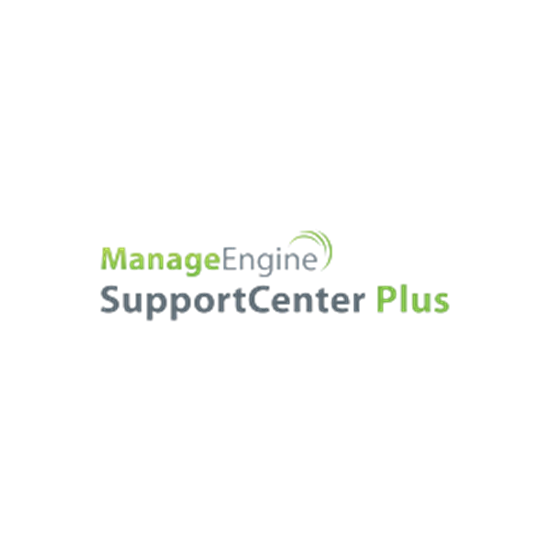 Mobile access for Support Reps who need to access SupportCenter Plus via Smartphones. The Mobile Client is compatible with iPhone, Android, Blackberry and other smart phones. Make your users feel at ease by presenting to them an interface in their own language. SupportCenter Plus is available in 16 languages. Lets applications in your organization talk to SupportCenter Plus and exchange data using SupportCenter Plus APIs.